Cruise West’s financial troubles have resulted in many unpaid medical bills from injured crewmen. 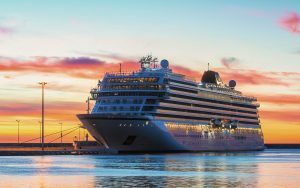 As Cruise West sorted through their financial woes and insurance problems, they stopped paying many injured crewmen their maintenance and cure benefits, leaving the crewmen stuck with medical bills and without funds to support themselves during their recovery. Beard Stacey & Jacobsen, PLLC has filed suit for several such crewmen. We are coordinating our efforts to recover compensation for their injuries and to be reimbursed for medical bills incurred. It is important to realize that under the Jones Act and the General Maritime Law, crewmen have special status and high priority in getting their claims paid. Cruise West vessels are subject to arrest and seizure for payment of these claims. Unfortunately, this can be a long process with various vessel interests battling over who is responsible to pay the crewmen’s bills. On Friday, November 23, 2007 the Canadian cruise ship “M/S Explorer” began taking on water after hitting submerged ice off of Antarctica’s South Shetland Islands. 154 tourists and crew abandoned ship into lifeboats, and were later picked up by the Norwegian liner Nordnorge, that took them safely to a Chilean air force base on King George Island in South America. The Explorer was owned by Susan Hayes of G.A.P. Adventures of Toronto, a tour company that leads eco-friendly cruises. The Explorer was in the middle of a 19-day trip around Antarctica and the Falkland Islands when the incident occurred. The Explorer listed to it’ starboard side shortly after the collision and by Friday evening had sunk. No injuries were reported. The 113,000-ton ship, “Crown Princess,” limped back to port in Cape Canaveral on July 19th after it suddenly listed 15 degrees to its port side. Passengers reported that after about 30 to 40 seconds the ship returned to an upright position. At the time of the incident the ship was 11 miles out of port, and was carrying 3,100 passengers and 1,200 crew. Seas were calm.